The electric fan is one of the most essential electric devices of all time due to its benefits like cost effectiveness, low power consumption, etc. The electrical fan is a basic building block of several advanced technologies. These are essential devices in computers, large LED lights, the space station, lasers, petrol and electric automobiles; countless other things. The fan is used in HVAC systems which let human beings to build huge or underground constructions. It would be tough to visualize a world without the electric fan! 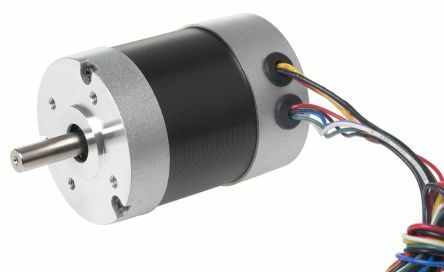 What is Fan Speed Control System? Nowadays, the demand of air freshening and temperature control has occupied many of industrial areas such as automotive, process heat, industrial areas or workplace buildings where the air is controlled in order to preserve relaxed surroundings for its occupant. One of the most significant concerns occupied in heat area consists in the preferred temperature achievement and utilization optimization. The controlling of the Fan can be done manually by pressing the switch. Apart from the usage change the fan speed manually. 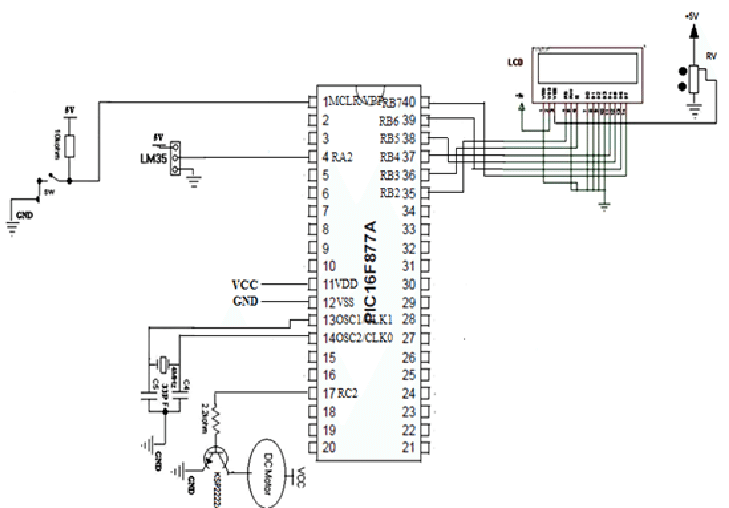 The following system will give you an overview of automatic fan speed control system using PIC16F877A microcontroller. 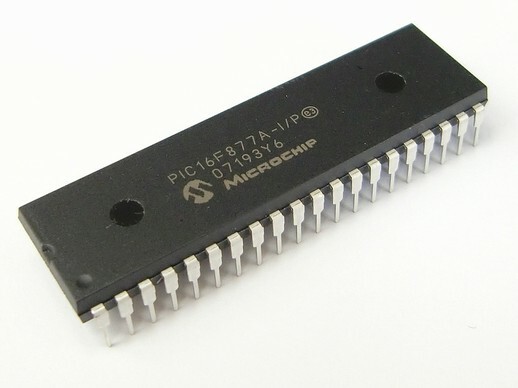 The PIC16F877A microcontroller is the heart of the entire system. 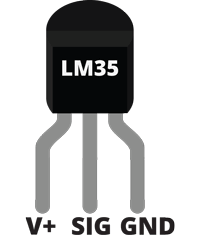 It takes the inputs from the LM35 temperature sensor to measure the current room temperature, and then the microcontroller will respond to control the required fan speed. LCD is used to show the room temperature and fan speed. The Block diagram of fan speed control system using PIC16F877A Microcontroller is shown below. This microcontroller could be used in controlling the fan speed according to the room temperature. Now microcontrollers are changing electronic designs. As an alternative to connecting a number of logic gates jointly to execute some function, we now employ programs to wire the gates electronically. Generally, we start with a UPS (unregulated power supply) which ranges from 9v to 12v DC. To make a 5v power supply, a KA8705 voltage regulator IC has been used. 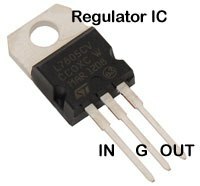 This IC is simple to utilize by connecting the positive terminal form unregulated DC power supply to the i/p pin, connect the negative terminal to the general pin and then switch on the power, a 5v supply from the o/p pin will be gotten to microcontroller run. The proposed system gives an overview of how the fan speed is controlled using PIC16F877A microcontroller, with the change in room temperature. The circuit diagram of the fan speed control system is shown below.In the following circuit, the PIC16F877A microcontroller is used to control the fan speed according to the change in room temperature. 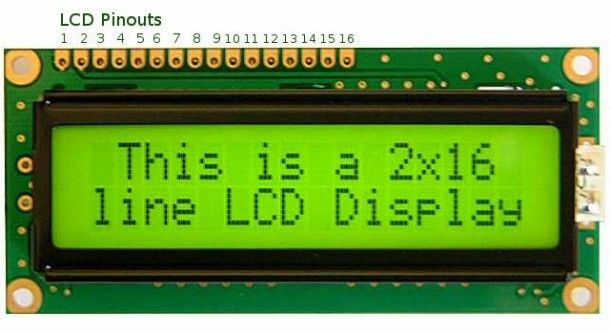 The LCD is used to measure and display the value of temperature changes. The fan speed can be controlled by PWM technique according to the temperature of the room. Analog signals can be processed by ADC in the microcontroller which converts analog signals to digital signals. The temperature sensor gives 10mv for every 1°c temperature change; this is analog value and it should be changed to digital. Change in the temperature will be sent to the microcontroller through pin 2 in the PORT-A. This microcontroller has inbuilt PWM module which is used for controlling the speed of the fan by changing the duty cycle. According to the temperature sensor readings, the duty cycle will be automatically changed for controlling fan speed. The microcontroller will send the PWM signal through pin-RC2 in port-C to the transistor which works as a control to the fan. A crystal oscillator is employed in between pin-13 and pin-14 of PIC16F877A; those are pins if we want to give the exterior clock to the microcontroller. 0.1 μF bypass capacitor used on the +5 V output pin of the voltage regulator to smooth out the voltage supply to microcontroller and LCD. The output pin of the temperature sensor is connected to pin-RA2 which is ADC0 of all the input pins of an ADC. Pin-3 of LCD is connected to GND via 1Kohm resistor to locate the contrast of the LCD to display the temperature on LCD. Pins from RB2-RB7 are connected to residual LCD pins used for data & control signals between LCD & microcontroller. The o/p of the PWM is given to gate terminal of NPN KSP2222A Transistor from microcontroller. Transistor switches on and off at PWM frequency and stops the voltage across the motor. When the transistor is on, the motor starts to increase speed and off then motor loses speed. Thus, this is all about the design and construction of fan speed control system to control the room temperature using PIC16F877A Microcontroller. Furthermore, the fan speed will boost automatically if the room temperature is raised. As a conclusion, the system which designed in this work was executed very well, for any temperature variations and can be categorized as automatic control. Hi, I am Richard D. Shasha from Liberia. I have decided to do a project on Street Lights that glows on detecting Vehicle movement but do not have access to Electronics Store or Shop to Purchase Microcontroller and few other Components. How may I get to the appropriate Company responsible?